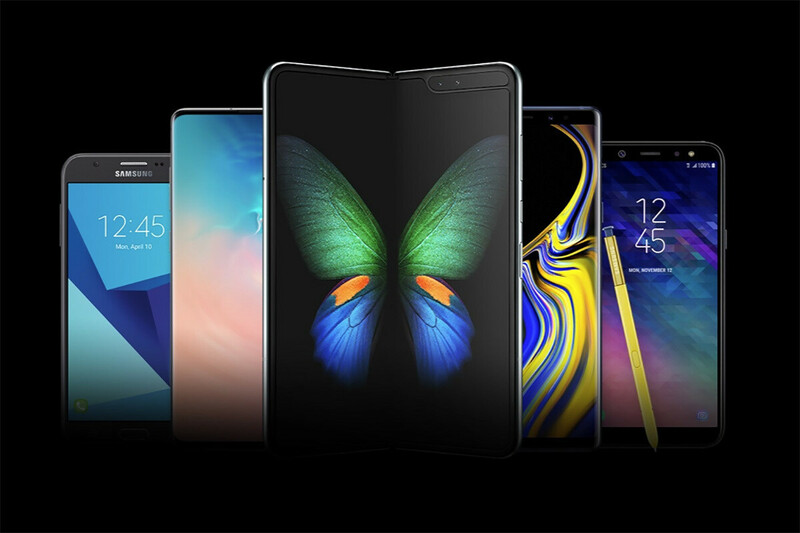 The Samsung Galaxy Fold, the dream phone-tablet hybrid of the future, is now here. 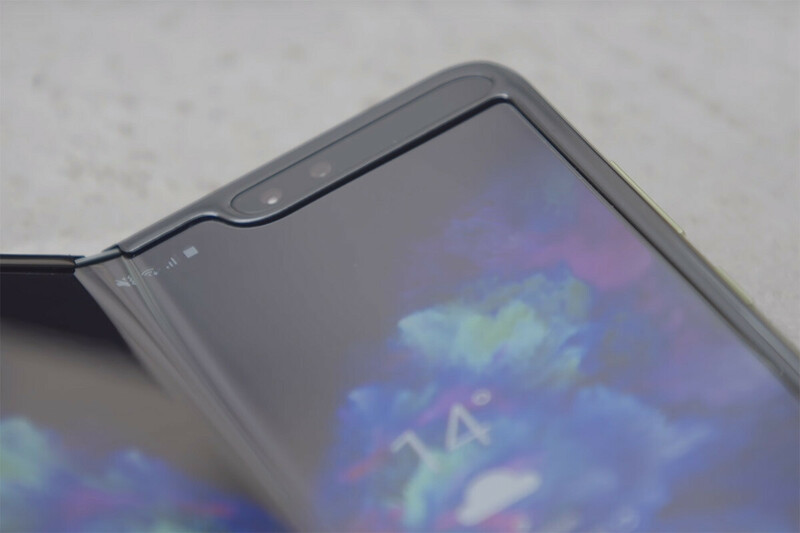 It's almost hard to believe that the Galaxy Fold is a real device: it was a tech dream that we used to see in sci-fi movies and even when Samsung showed it to the public it seemed like a distant prototype. But no: pre-orders on AT&T are now live and for nearly $2,000 (ouch!) you can get this piece of the future now and start using it right away. So... what has changed since Samsung gave us a first glimpse at its Galaxy Fold? First of all, we got to learn a lot more about it! Samsung only showed a prototype that no one could touch and now the device is out in the wild. 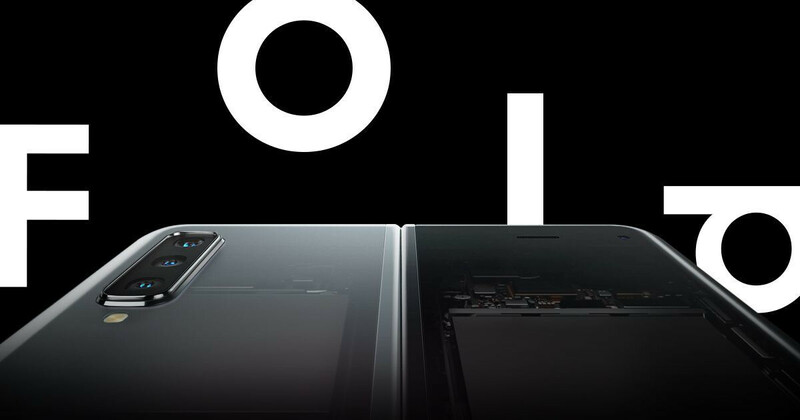 This means it's time to summarize the 12 essential details that you must know about the Galaxy Fold before you press that pre-order button. Read on! 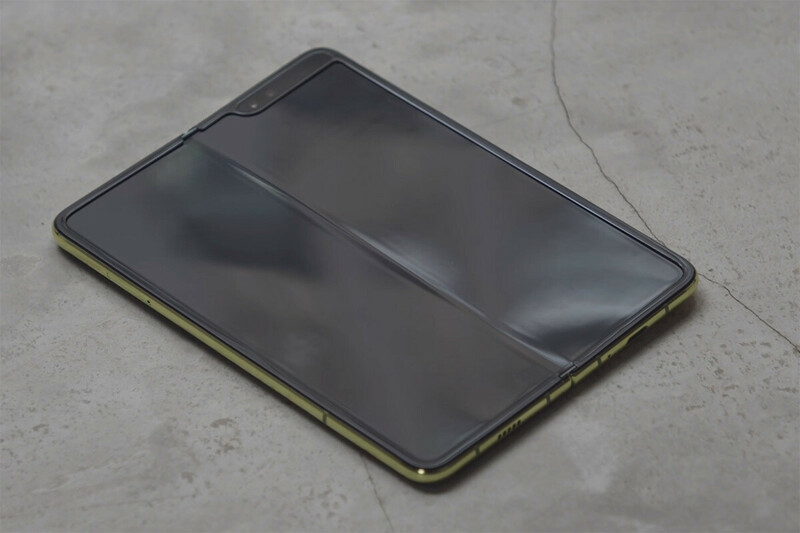 As much as the wallpapers and the promo materials make it seem like there is no crease on the Galaxy Fold, there is indeed a very noticeable gutter right in the middle of the phone. Is it a deal-breaker? Well, maybe for few people it will be, but while the crease is there and you can literally touch it and feel it, it's not something that disrupts the viewing experience. And since this is a big phone it does not really get in the way of typing too, so we guess that one would get used to it after a while. #2: This is the heaviest smartphone we have ever seen! Bar none! ...and it's not very comfortable to carry in a pocket. What you might not realize about the Galaxy Fold is just how big and heavy it is. In fact, at nearly 10 ounces (272 g), the Galaxy Fold is noticeably heavier than even the biggest smartphones out there. It's not just heavy: it's also literally about as big as two phones put one on top of the other. And these would be some tall phones too, making the Galaxy Fold a very uncomfortable fit in most pockets. Curiously, as complex as making a folding screen is, probably of no less importance is a mechanism that sounds as mundane as it gets: the hinge. Thankfully, Samsung has done a really great job with the hinge on the Galaxy Fold: it snaps tightly when you close it and it opens at a perfect 180-degree angle with a satisfying click. It also feels sturdy and reliable, as evidenced by the crazy contraption of a robot that Samsung built to test the folding mechanism (see below). Since it takes two hands to open the Galaxy Fold, chances are that while opening it your fingers could accidentally touch the fingerprint reader on the side of the phone. Unfortunately, the fingerprint scanner also doubles as a Bixby button, meaning that - at least at first - you will likely be hearing from Bixby a bit too often. Luckily, the latest version of Samsung's One UI allows you to go into settings and remap the Bixby button, so you can easily change it and set it to only open Bixby with a double click on the button. That is one of the first things that we would do to avoid the accidental triggers. 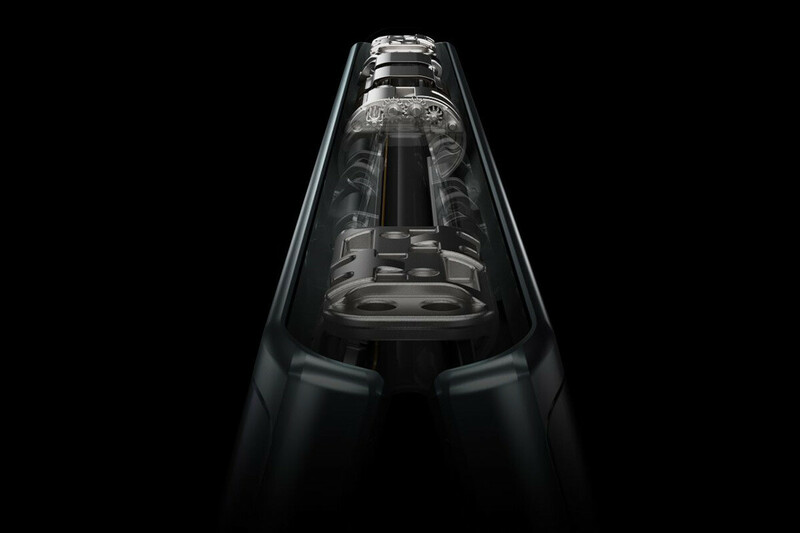 The Galaxy Fold comes equipped with two batteries, one in each side of the phone and they are connected together via the all-powerful hinge and when you combine the two cells together, you arrive at the 4,380 mAh total battery capacity on the Fold. We have A LOT of questions about the actual battery life on this thing: the huge screen is guaranteed to draw a lot of power and we already have regular phones that approach the battery capacity on the Fold... Until we get to test the battery life, however, we do hope this phone will get us through a full day of use, but we definitely don't have our hopes for much more than that. The main screen on the Galaxy Fold measures 7.3 inches and it's of the same Super AMOLED kin as the Galaxy S10 series, which means that it looks gorgeous, with deep blacks, great contrast and vibrant colors. What you do have to know, however, is that the screen is plastic so it will scratch easier. That, however, should not be much of an issue (hopefully!) since you don't have the main screen exposed to the elements when you are carrying the phone around, and when it folds like a book it is perfectly well protected from scratches. 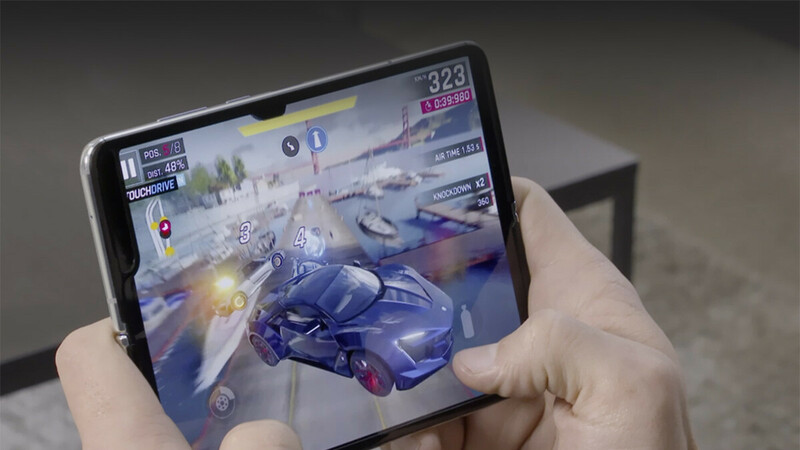 We ought to say that while the main screen on the Galaxy Fold is gigantic, beautiful and impresses in a way no other phone does, the front screen is really not very useful. It's 4.6 inches in size, but it is very narrow and tall, and the actual usable screen space is much smaller than on your typical 4.6-inch phone screen. Still, this screen is not limited in any way except for physical size: you can do everything on it. What is striking, however, is that it seems that Samsung could have made this display bigger: currently, there are huge bezels all around the screen and in a future Galaxy Fold, this would be one area where we would like to see improvements. Yes, you do have a notch and sure, it is gigantic, why not. Feelings aside, the notch on the main screen of the Galaxy Fold is probably the second most annoying thing about it after the crease, but it's a technical necessity and it is what holds the dual front camera system. Do we really need a double set of cameras for selfies, first on the front screen and then here again on the main screen? Not for selfies maybe, but for video conferencing, for instance, we do, and that's why you get this somewhat redundant set of cameras and, of course, the big notch. 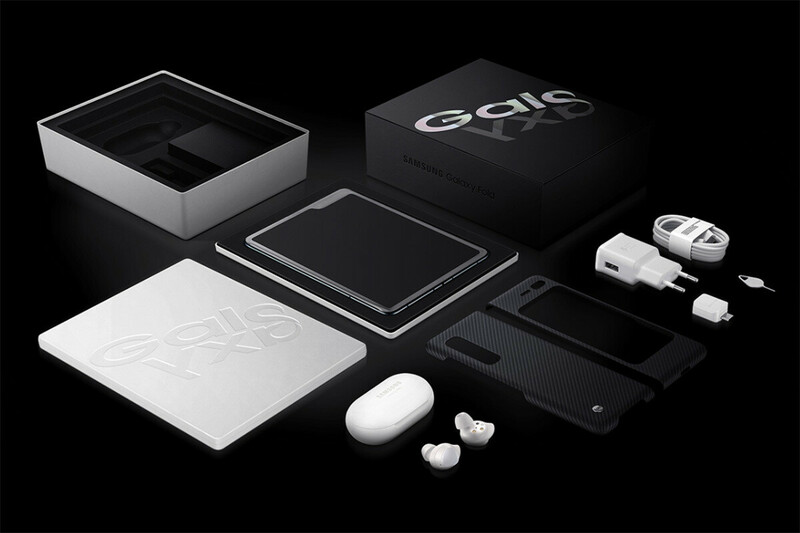 There is also a free case included in the box and that's crucial: we haven't seen many third-party cases for the Galaxy Fold and you will definitely want to protect that $2,000 phone well! This is one of the coolest new features on the Galaxy Fold and it seems that Samsung has worked with Google to implement continuity deep into the Android system. Basically, what it does is ensure that the moment you unfold the device, you will be transported to the exact same spot where you left off on the main screen. This will work with Samsung and Google apps in the beginning, but we are not sure whether it will work with all of these apps from the get-go. As for third-party apps chances are that the feature will not be available at launch, but it might come later on. 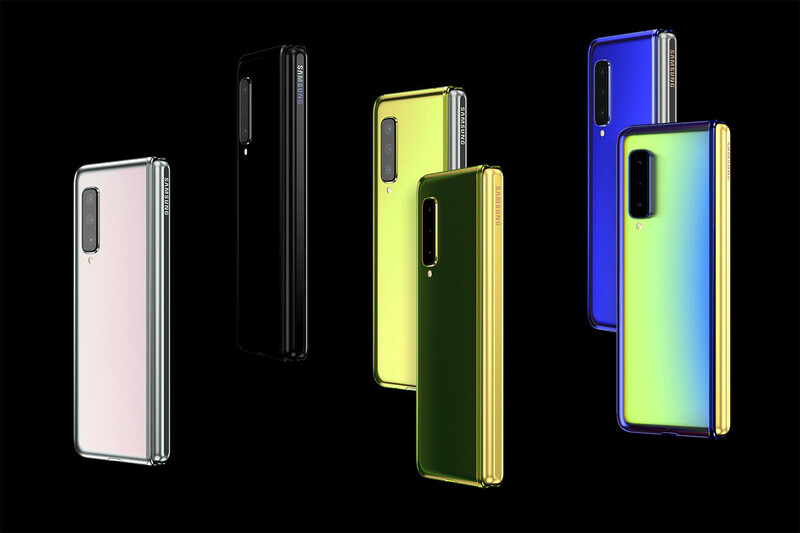 You have a selection of four colors for the Galaxy Fold: a classic 'Space Silver' and 'Cosmos Black' models, as well as beautiful 'Martian Green' and 'Astro Blue'. 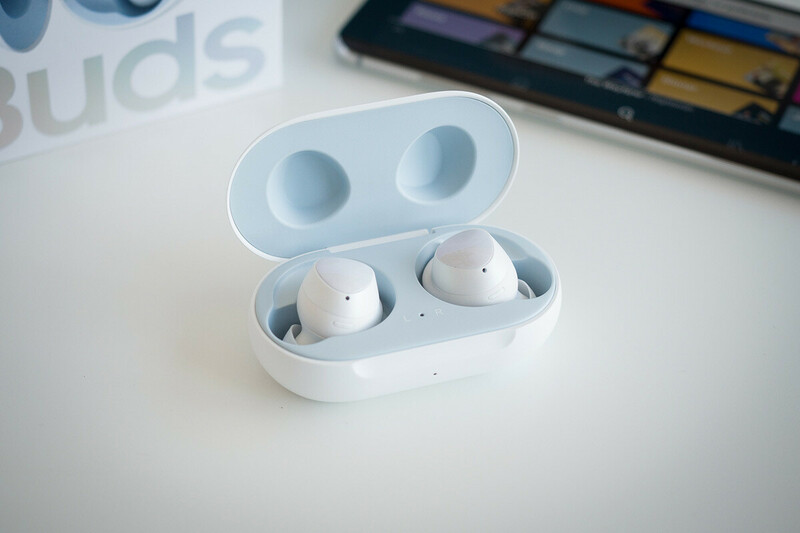 The latter two not only come with the option to customize the hinge color, but they also change their color as light is reflected off the back for a mesmerizing effect. What about the unfortunate event of a broken screen? Or a malfunctioning hinge? We don't even want to think about that possibility, since all of this seems like such an intricate gadgetry that repairs will likely be complex: just imagine replacing the battery, something that is the equivalent of an oil change on a car, but here it seems like a daunting task considering the two cells and their connection at the hinge. So while we don't know details about Samsung's repair policies for the Fold, we imagine that they will be costly and not always possible. Conclusion: Despite everything, this is the freaking foldable phone from the future, here now! Don't miss the opportunity to try it out yourself! It might sound here that we are extremely critical of this phone and that our overall sentiment is negative, but that's not at all true. Our goal was to show you all the little compromises that Samsung made, but none of them make the Galaxy Fold less exciting. Put simply: it's the freaking foldable phone of the future and it's here now! Go ahead and give it a try if your local AT&T store has it. Should you buy it? That's too early to tell and the $2,000 price is just crazy for a gen 1 device, but we know one thing: this phone is exciting in a way that few other devices are and in just a few years, our future selves might well look back on non-folding phones and reminisce about the primitive technology we used in the dark ages of 2019. And Samsung might just be the name associated with entering that brand new era. No thanks. This is the ugliest phone in the future. Half baked. Lol peaceboy is so desperate that he is crying & commenting on every Android article. Get rid of the notch, crease, chin and forehead then you got a killer phone. Reduce the price and throw in an s pen. Maybe now we'll get the Surface Phone from Microsoft. "It might sound here that we are extremely critical of this phone and that our overall sentiment is negative, but that's not at all true." If that was not the intention, why the need to clarify? Guilty conscience maybe? This is an amazing looking device. The more I watch videos on it, the more I want it. Awesome stuff. The crease wouldn't bother me if you can't see it with the screen on. Erase the notch and add in an S-Pen and I would buy. 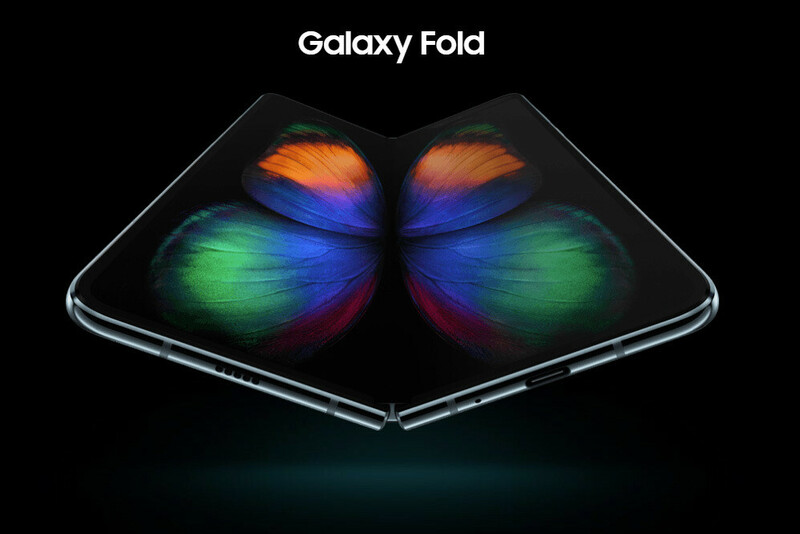 Here's hoping for the Samsung Galaxy Fold 2.
within 3 month, can find it in second hand shop with 50% price discount. Then buy from there. I don't think so. You know its a limited release device. So, the second hand shops can sell it on black market n stuff for higher or the same price. with all of their newer phones with the ultra thin benzles, hardly an "O" for the selfie cameras and they couldn't implement this on the Galaxy Fold??? I'll wait for the 2nd gen or maybe even 3rd gen so they could get everything sorted out. 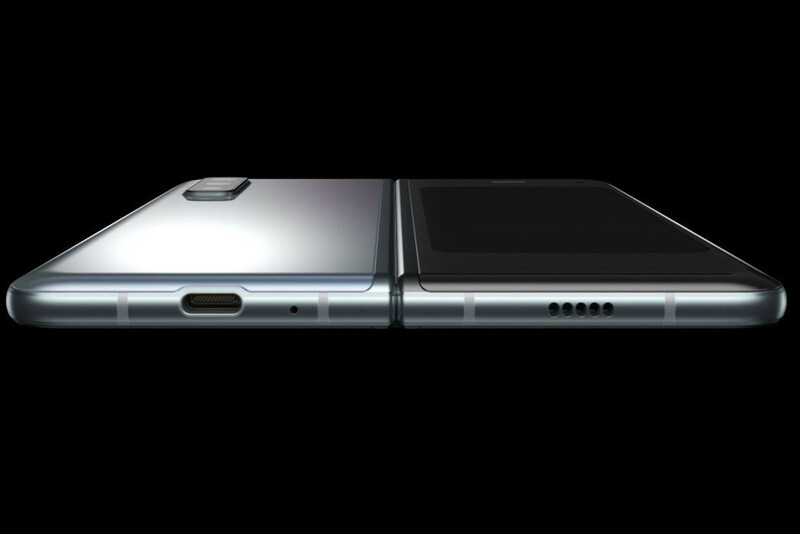 And yes, a phone with a screen this wide and also the thickness, why not make the S-Pen tucked inside like the Note lines?? @Samsung, think about a way to utilize WIFI as a way to recharge the batteries so you can make slimmer batteries and reduce the thickness. Darrkjeddi... are you getting the fold bro? Phone? Tablet? It's Galaxy Fold.